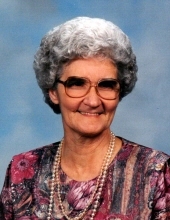 Margaret Nicholson, age 87, of Dalton, passed away Sunday, October 14, 2018 at Erlanger Medical Center. She was preceded in death by her husband, Odell Nicholson; parents, Bob and Dolly Bryant; and sister, Willena Mathis. Survivors include three sons and daughters-in-law, Timothy Nicholson of Raleigh, N.C., John and Kim Nicholson of Raleigh and Richard and Karen Nicholson of Dalton; three grandchildren, Racheal Chambers, Matthew and Lindsey Nicholson; and several great-grandchildren. A private graveside service we be held Monday, Oct. 15, at 3 p.m. at United Memorial Gardens officiated by Matthew Nicholson and Rev. Larry Timmerman. Funeral arrangements are by Julian Peeples Funeral Home, Pleasant Grove Chapel, Dalton. For further information, call 706-259-7455.